A few weeks back, I promised to explain the history of our herd…and I thought today would be a great time to do that! As I had mentioned a few weeks back, our herd is what would be considered a closed herd. My husband explains it this way: “Well, the only new women on this farm were you and Mom.” Yeah, he has a way with words. Basically, every cow on this farm is traced back to another cow on this farm…all the way back to the original herd started in the 1950’s. The only new blood (necessary, to prevent in-breeding and defects) on our farm are bulls that are bought periodically. We also use artificial insemination…but I’ll get into that in the future. Now, this type of ranching may not work for others, but it works for us. We are able to trace back any genetic issues, match up heifers to better bulls for their ease of calving, and have a very detailed history of each calf that is born on our farm. 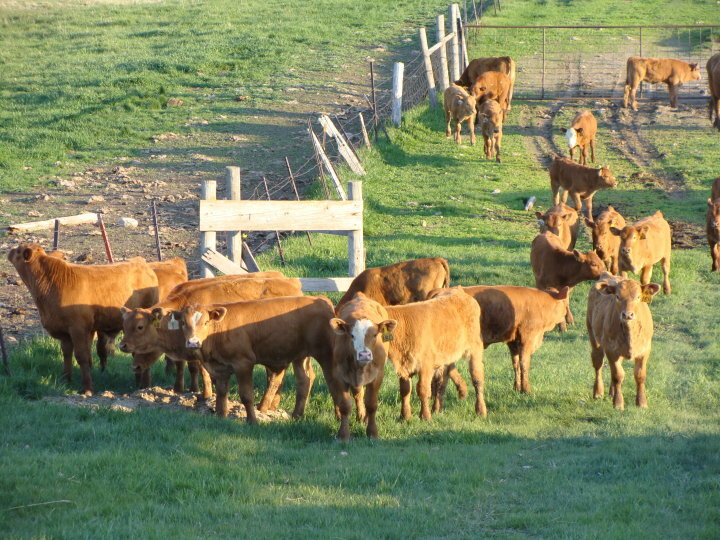 So, our herd started out as polled Herefords…and now we are Red Angus with Simmental cross. We changed things up when we needed to, made careful choices throughout our history and were able to survive through today. That, in itself, is something to be proud of! 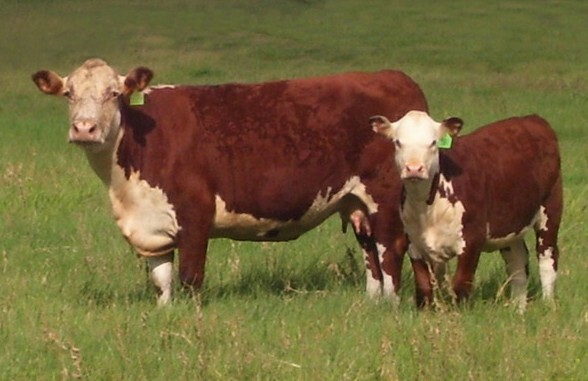 This is an example of a polled Hereford. It also goes to show that agriculture isn’t just about setting a goal and being strict in your path to get there. Sometimes along the way you need to be willing to veer off the path and try something new, be willing to be flexible and willing to work with whatever is thrown your way. And with four boys coming up, I’m hoping that there will be at least one new woman coming my way! This entry was posted in About me, Agvocacy, Cows, Farm life and tagged agriculture, agvocacy, calving, cow facts, cows, farm life, farm questions, life on the farm by wagfarms. Bookmark the permalink.